AI, AI, AI! What next? People who know me are well aware I occasionally like to spin a tall tale. The routine is standard: I start with a barely believable premise, and if I see someone taking the bait, I keep adding ridiculous layers until my mark finally figures it out. The other day started in similar fashion. 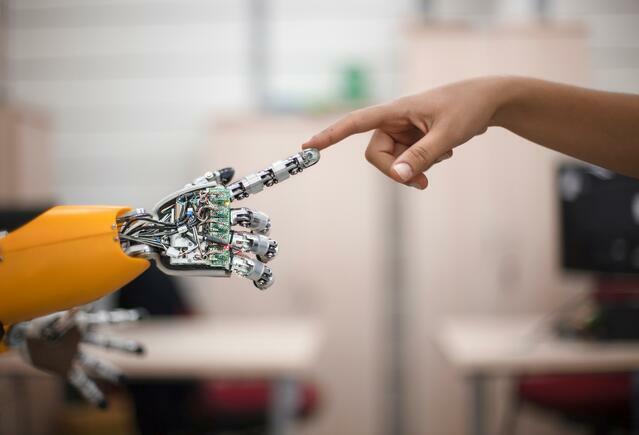 Chris Neal (a colleague of mine) and I were asked by another colleague if our Silicon Valley clients were chanting this article’s mantra, “Mobile First to AI First.” The real answer isn’t a simple “yes” or “no” (more on that in a bit). But in addition to answering the question, I decided to spin one of my famous yarns. I won’t bore you with the details, but the yarn evolved into me admitting that I was about to strike rich from investing in an MIT start-up that created AI-based robot leggings. Further, I’d sport those leggings while running the 2018 Boston Marathon as a publicity stunt. I’m 5’9” (on a tall day) and 275 lbs. (after 24 hours of fasting). My only hesitation (according to the story) was that my wife was concerned my heart wouldn’t make it beyond the first mile and was greedily reviewing the details of my life insurance policy. Note: When my colleague reads this blog post, it will be the first time he or she realizes I was only pulling his/her leg. For the last few days, I’ve been basking in the satisfaction that only those with my genetic mutation feel. But that reflection has made me think–is my tale really that tall? The truth is, while neither Chris nor I hear “AI First” as universally and consistently cited as “Mobile First” was five years ago, AI is permeating strategy discussions at all major tech companies as they become more focused on the business opportunity it represents. And, a lot of them are struggling to answer key questions. Where does AI “live” organizationally? Does it deserve its own category of products/apps, or should it remain a concept that permeates nearly every project across departments? Other challenges include foundational questions like who has subject matter expertise to advise on insights in this category adequately, and how can we market something this new (and to some, scary) effectively to the right audiences in a way that is compelling and easy to understand? In my own experience, I can say that many consumers are ready for the realization of AI. 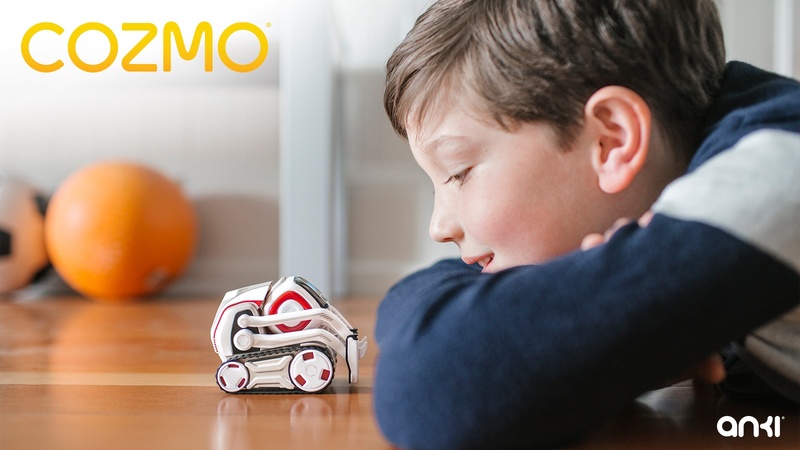 Based on our recent work with Anki for their amazing robot Cozmo, consumers in millions of US HHs are excited to use AI in everything from fun to productivity. And, related to my colleague’s enthusiasm for my fictitious running suit, consumers in 8.8 million US households strongly agree with the statement “Tech toys/gadgets/robots make me feel closer to the future I’ve envisioned”. We’re also wrapping up a self-funded research study examining the barriers to and opportunities for getting coveted groups like Millennial and Gen Z to use Intelligent Personal Assistants (IPA—think Siri). Needless to say, AI is no longer a peripheral concept—it’s very much on the minds of consumers and brands alike. If you aren’t already, subscribe to our blog so you don’t miss a series of AI-inspired blog articles once we release our study’s findings. In this context, I guess my MIT “get rich” story really wasn’t too far from believability. It’s possible that engineers at Nike or Under Armour are measuring up some other husky market researcher for a set of robotic leggings for some incredible athletic feat. Regardless, I’m excited about the possibilities–though my tastes tend more towards self-driving lawn mowers. Brant is CMB’s ecommerce and Digital Media Practice Leader, and will be co-presenting the aforementioned work with Anki at the Insights Association Northwest Educational Summit in San Francisco on June 8. In his near-future spare time he can be found hiding under his desk, avoiding his previously unsuspecting colleague. Are you registered for the Northwest Educational Summit on June 8 in San Francisco? If so, click here to receive our latest webinar and connect with one of our lead researchers. Not going but still interested in learning about how Anki leverages emotions and identity to adapt, innovate, grow, and stay consumer-centric? Click here! Very little brings me more joy than a rich data set that smells like a powerful insight is ready to emerge. Likewise, few things create more angst for me than a powerful story hidden in data—when something is there but I just can’t connect the dots. Recently, I was rescued from any long period of angst I might have suffered by a collaboration with two great minds who bring complimentary skill sets to the table. My two saviors were CMB’s own Erica Carranza (PhD in social psychology) and Vivaldi Partners’ CEO Erich Joachimsthaler (PhD and marketing thought leader). The “aha!” moment came from Erich and Erica’s ability to reframe what the data was trying to tell me—a multifaceted “identity construct” drives all our underlying digital social behaviors. It’s an idea with powerful implications for marketers and other business leaders trying to thrive in this world of digitally empowered consumers. 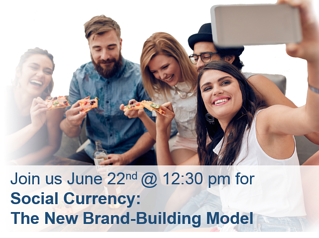 Erich, Erica, and I will be sharing more on these insights and how to use them in our June 22nd webinar, Social Currency: The New Brand-Building Model. To help illustrate, I’ve spent the last week retrofitting this new realization to some of the best-of marketing efforts I’ve witnessed in my career, and I found some easy examples in gaming. Two examples in particular stick out. The first is the famous Call of Duty campaign that used the tagline “There’s a soldier in all of us.” The second is this past winter’s Star Wars Battlefront campaign, which leveraged the Star Wars fandom as part of a 30-year story (told in 30 secs). In both of these ads, the consumers—and their identities (real or aspirational)—were the heroes. The games themselves were enablers to further define and broadcast these identities. In a world where the most powerful brand-building content is created and/or shared by consumers, it’s particularly important to understand why consumers undertake the behaviors that Erich described in his original Social Currency work. Retrospectively, it’s been easy to see that game marketers have inherently known (or stumbled upon) the concept of identity being a key to great marketing. But, the real eye-opener here is that this same concept proved true for 5 disparate industries (auto, beer, fashion, restaurants, and airlines) in a rich data set of 18,000 respondents and 90 brands, which is the basis for our webinar next Wednesday. Brant Cruz is our resident segmentation guru and the Vice President of CMB’s eCommerce and Digital Media Practice. A lifetime of major accomplishments (which might even include the invention of the pedometer. . . you’re welcome Fitbit! ), and he lists only the three most important to him? I hope you’ve enjoyed this little history lesson, and I look forward to seeing your suggestions for our headstone. Join Brant and Vivaldi Partners Group’s Erich Joachimsthaler for a webinar on 6/22 at 12:30PM EST as they share the results of a 90 brand study. Learn how Social Currency measurement helps brands activate the 7 levers that encourage consumers to advocate, engage, and gain real value. For those of you living in Siberia, I have a news flash: Boston had a nasty winter. Fortunately, spring has sprung, which has put an extra pep in my step for the past few weeks. That glorious feeling, coupled with an engagement I’ve been working on for Electronic Arts (EA), has inspired this blog. Martha Stewart says that “there are few rites of spring more satisfying than the annual clean.” Well, I’m no Martha Stewart (and for those of you who know me, the comparison is downright comical), but I do appreciate the general sentiment. 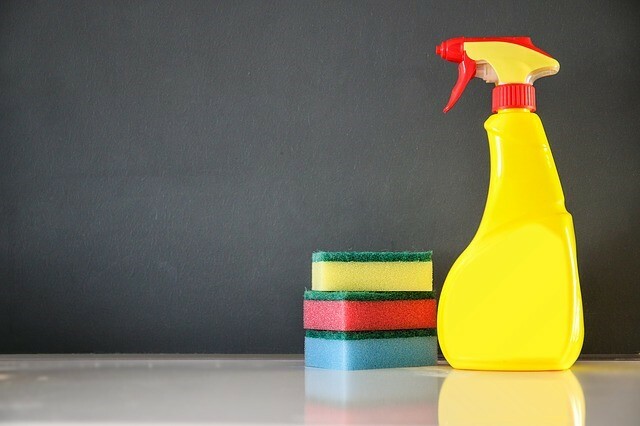 Martha’s extensive list of spring cleaning projects can be found here. But, instead of the proverbial laundry list, I’m going to focus on three of Martha’s tips that have implications in the world of insights, analytics, UXR, and consulting. 1. Organize files. Sure, there is also a tactical “file management” analogy here, but I’m talking about something more powerful and fundamental. I’m advocating that you step back and ask yourself whether you are appropriately allocating your resources to the right initiatives. Take a look back over the last year (or more) at all the work you have completed with a critical eye. Which projects have had true business impact? Which ones could have had impact, but weren’t adopted appropriately by your business partners? What types of work are you consistently conducting that either can’t or won’t have true business impact? Conversely, what could you be working on that would really move your business forward? When facilitated correctly, I bet that most of us would learn that we should shift at least some of our focus elsewhere. 2. Swap out heavy curtains, throws, and rugs for lightweight ones. Not sure if you’ve noticed, but we live in a “Mobile First” world. A world where consumers have more choices and are harder to pin down and our business partners need fresh insights faster than ever just to keep up. This reality provides both challenges and opportunities when it comes to “old” methods of designing studies and collecting data. There’s still room for “heavy” (strategic/foundational) projects and amazing storytelling deliverables. However, we also need to make plenty of room for methods that provide insights quickly, utilize mobile data collection (with modules “stitched” together scientifically when longer questionnaires are required), and use workshops to get key results to business partners faster rather than waiting for a beautifully packaged final product. 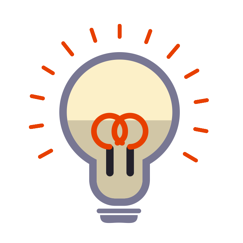 Innovative companies (many of whom will be attending the Insights and Strategies Conference in San Diego next week) continue to create exciting new tools. We’re excited to launch EMPACT℠: CMB’s Emotional Impact Analysis methodology next month—our solution to measuring the emotional payoffs consumers experience, want, and expect from a brand, product, or ad. 3. Ensure Fire Safety. Admittedly, this analogy is a bit of a leap, but I find that spending extra time to make sure that my family is in no danger from fire analogous to spending time with my team to ensure that we are all on the same page, working towards the same goals, and that I am providing the support I can to ensure their happiness, balance, and high performance. I was lucky enough to participate in EA’s Global Analytics and Insights Conference offsite last month, and these few days provided a great blueprint for doing this well. In a nutshell, Zack Anderson (EA’s VP of Marketing Science) leads a team of more than 60 Consumer Insights, Analytics, and UXR professionals. The 3-day agenda he developed included a mix of motivational speaking, priority setting, cross-team pollination, and good ole fashioned bonding activities. The theme of the conference was “Ideas. Relationships. Execution.”—and I think it delivered brilliantly on all three counts. I suggest you all spend time pondering these three tips and finding the right way to execute them in your professional life. While none of them are as fun as playing a round of golf, I bet they’re all more fun than some of Martha’s other tips, such as resealing grout lines and dusting refrigerator coils. Want to learn more about EMPACT℠: CMB’s Emotional Impact Analysis? Watch our recent webinar as CMB's Brant Cruz and Dr. Erica Carranza share how we capture emotional payoffs to inform a range of business challenges, including marketing, customer experience, customer loyalty, and product development. 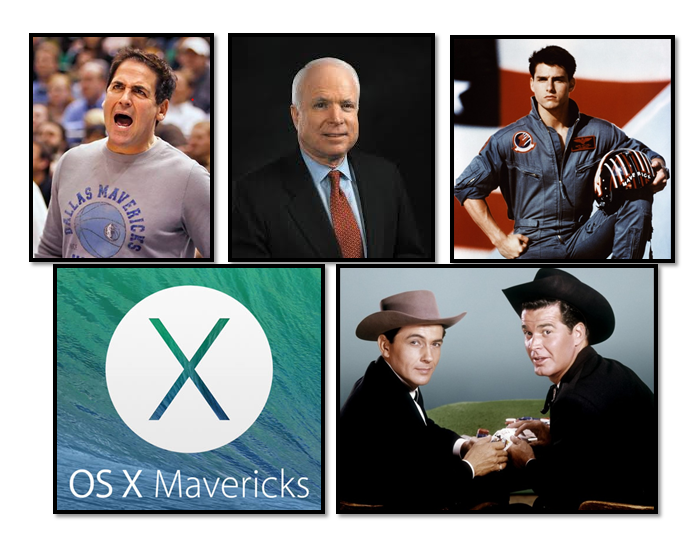 What Does it Take to be an Insights Maverick? Not too long ago, after hosting a gathering of some of the most talented, innovative researchers on the west coast (or really anywhere) I heard a story about another gathering of talented elites—The Mavericks Invitational—the greatest surfing event in the world. 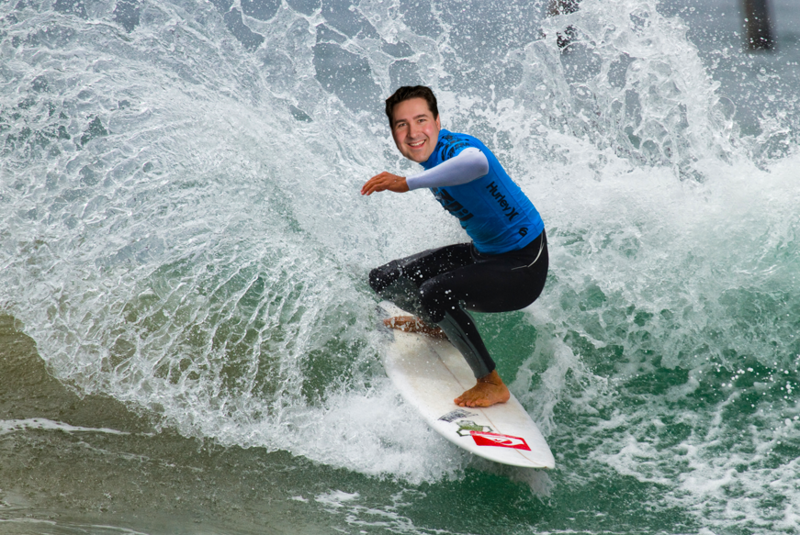 Despite the fact that people often request I wear a wetsuit, and I once appeared in local stage production of the Keanu Reeves’ classic Point Break, this was the first time I’d heard of this event. The Cliffs Note version: the event is only held when the waves will be at their most challenging and the 24 invitees are given just 24 hours to make it to Half Moon Bay, CA to have a chance to compete.Basically, a group of the most talented people in their field, heavily invested in a single purpose, makes a beeline to a single place to make the most of a precious moment. The parallels with customer insights are obvious…no? As I see it, we in the customer insights world also have incredible waves of opportunity—for innovation, for serving new segment or entering markets, basically for helping our business partners make critical decisions with confidence. And just like our Mavericks, the best among us need to be nimble and driven enough to bring our partners in analytics, marketing and operations together to capitalize on these precious opportunities as quickly as possible. Why customer insights in particular? For the same reason they don’t invite belly boarders to the Mavericks. The Customer Insights function (or if you prefer “Analytics Artists”) are in the best position to strangle the data, build coalitions, synthesize results from prior work and multiple data sources and seize the most impactful moments. I mean, who else can confidently talk about robust predictive models with Analytics folks over breakfast, then pivot to a discussion of the results of brand positioning work with in-house ad agency folks over lunch, and finally finish the evening with a nightcap of profitability projections from a conjoint study that will be shared with a CFO? Insights folks, that’s who! Brant is CMB's Segmentation guru and VP of CMB's eCommerce and Retail Practice; he awaits his invitation to next year's Mavericks Invitational. In Miami for Total Customer Experience Leaders? So are we. Stop by our booth and say hello to Julie Kurd @julie1research, and make sure you catch our presentation on the Future of the Mobile Wallet at 2:30 on Thursday.